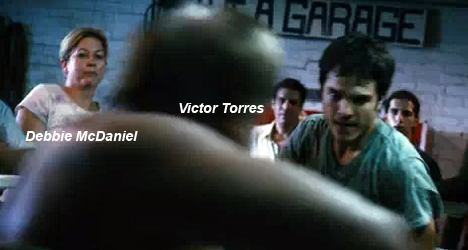 Hector Villa (Kuno Becker) shows off some of his boxing skills in "From Mexico with Love." It wouldn’t be a surprise if we were to find out “From Mexico with Love” rolled off a factory conveyer belt and into a theater near you. It’s the type of generic sports movie that would probably be cheaper if it were bought in bulk. 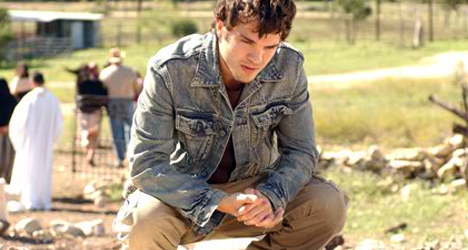 In the film, actor Kuno Becker (“Goal!”) stars as Hector Villa, a Mexican immigrant who has come to the U.S. in search of a better life for him and his family. With the help of immigrant smuggler Tito (Steven Bauer), Hector and his mother (Angélica Aragón) secure a place to work as cucumber pickers on a ranch in Texas. But when his mother becomes ill, Hector sees no other choice but to step in the boxing ring and punch his way to a payday. Besides making enough money to support his family, there’s a secondary reason Hector wants to lace up his gloves and pick a fight. His honor has been tested by the ranch owner’s son Robert (Alex Nesic), a local hotshot boxer who drives a convertible and flirts with Hector’s childhood friend Maria (Danay Garcia) who has also arrived to work in the fields. In textbook form, Hector reaches out to Billy (Bruce McGill), a washed-up trainer who used to coach his father in the ring. Billy wonders if Hector has enough heart to be a successful boxer or if he’ll end up like his father and never take the sport seriously enough. 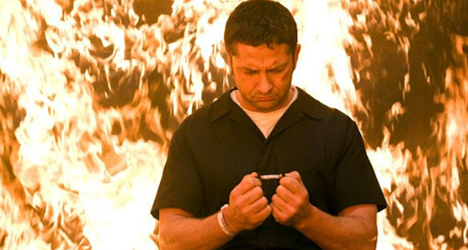 What’s definitely not taken seriously enough is the film’s screenplay. It’s hard to imagine anyone else getting smacked across the head as much as Hector does when he finally starts training for his big bout against Robert, but getting a concussion is the only believable excuse screenwriters Glen Hartford (“Forbidden Warrior”) and Nicholas Siapkaris (“AlphaOmega: First Contact”) should give if asked about their pathetically unoriginal script. As if a dying mother telling her son that he “can’t solve every problem with [his] fists” isn’t melodramatic enough, Hartford and Siapkaris drag the sports clichés (and even chess metaphors) into the ring hoping most of the audience will overlook the fact that everything they’ve written is so blatantly imitative. 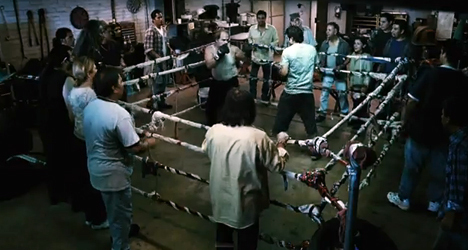 “Keep your eye on the prize,” Billy tells Hector at one point in the movie. By then, anyone who has ever seen an underdog sports movie should know what predictable route “Mexico” will take. Directed by stuntman Jimmy Nickerson, who has been tossed around in such films as “Blade” and “True Lies,” “Mexico” never comes close to digging itself out of a one-sided fight that’s filled with amateur acting, production value, and action sequences. Even before the second dull boxing montage, you’ll be begging someone to throw in the towel.